Twitter is again being used as a back-channel for public protest -- but this time, the target is BP. According to Fox News and the Christian Science Monitor, BP got wind of the prank several hours after it was posted Thursday and is now back in control of its official feed and message. But looking at the numbers, the mock feed still has the floor: @BP_America, the real BP site, has 7,200 followers while the phony one is about to break 71,000. There are growing numbers of people who are organizing themselves online into social action groups, and these groups are about to start making a much bigger mark offline, a panel of social media experts agreed today during the final day of this week's TechCrunch Disrupt conference in Manhattan. Sure, online social networks are already having an impact offline -- from pressuring schools to serve kids healthier lunches to mobilizing support for anti-establishment candidates in state and local elections. But all of that is just for starters, panelists agreed: people have only just begun to tap the potential of digital networks to affect change offline as the Net becomes more "social." "With existing networks and start-ups, it's becoming easier to build a movement," said Chris Hughes, the developer of President Obama's Web site and social media campaign. Meetup Co-founder and CEO Scott Heiferman added: "We're starting to use the Net to move off the Net, in the spirit of disrupt, to ... enable people to become more powerful and ... reinvent the world." To underscore the point, Heiferman announced the launch of Meetup Everywhere, an expanded Meetup platform that Heiferman described as "an easy way for any organization or company or cause to catalyze Meetups everywhere about themselves." So far, he said, Meetup Everywhere has 15 different launch partners, including the social marketing guru Seth Godin, who two days ago asked his social network to hold a Seth Godin Meetup using Meetup Everywhere. The result? As of today, Seth Godin Meetups have self-organized in 672 cities around the world and plan to meet up on June 19. And that's not all. Etsy, the luxury crafts start-up, has Meetups scheduled in 254 cities, and The Huffington Post has organized "green Meetups" in 110 cities so far to talk about the BP oil spill. Groupon and Foursquare also are using the new Everywhere platform to catalyze company-hosted events among their friends and followers. "This is more important than the iPad because the most amazing things happen when people meet up," Heiferman gushed, plugging his new initiative from the stage. Heiferman also predicted that the 2012 state and federal elections will "look a lot more like the Tea Party movement." He said there are 600 local Tea Party Meetup groups "and what's interesting about them is that each has a self-contained, self-organizing system for leadership. With the Tea Party, leadership is distributed. Some would call it scary but I think this is something to look at about the way the future will work" -- for political candidates as well as for nonprofit causes and businesses seeking to engage support for their products and ideas. 1. It's not enough to make it easier for people to share online, Hughes said. "You have to create a whole new culture and eco-system of sharing." For example, Hughes said, the Obama campaign created 1,500 Youtube videos during the span of the election cycle "but there were 100 times that number of YouTube videos, or more, created by everyday people who were out there for Obama because they understood the campaign was about sharing and having their own voice and responsibility." Another key? "Relationship-building is also important," Hughes said. "It's not enough to have people speaking and saying 'I care, I care, I care.' You also need to build a network that enables those people to connect to other people who care about similar causes." 2. The money happens last in online fundraising. "First," says Hughes, "you connect people, then you foster relationships with them. Only then will people come in and give 15 or 20 bucks." 3. Social media can help you to "build your own machine" to change the status quo, says Reshman Saujani, a congressional candidate for the 14th District of New York, who has been organizing her campaign for the last 18 months, mostly on social networks. "I believe technology can really disrupt the Establishment," she told the panel. "Normally, you need to belong to a political party or club that brings endorsements, contributions and visibility ... and outsiders, therefore, find it hard to run." But social media change that, Saujani said. She is testing a new social media organizing platform created by Jim Gilliam(Brave New Films) called pro.act.ly, which Saujani described as being "Obama 3.0." She said "we knew that we would need 30,000 votes to win our campaign on September 14 and we knew we would not get the support of the party or the labor unions, so we had to build our own machine." Pro.act.ly, she said, enables movement organizers to look up any single supporter and learn instantly how many people in their networks are supporting a campaign. "It measures the intensity of their commitment," she said. It's a kind of digital dashboard to community organizers. "Jim (Gilliam) wants to give Pro.act.ly to a lot of people in 2012 who want to run all across the country and get them to change Congress," she said. 4. Tie online to offline at every opportunity. Meetup's Heiferman said there are now nearly 15,000 Meetups going on each week "on almost everything" -- with less than 1 percent of them tech-related. "The real opportunity of social media," Hughes said, "is for people who don't have an infrastructure or an established entity." Added Heiferman: "Mass engagement, on many fronts, is becoming a reality -- faster than you think." What do you think? Wishful thinking or growing force? Silicon Valley's uber-VC, John Doerr, said today that "we are on the verge of a massive reinvention of the Web" -- one that will call forth social entrepreneurs in rising numbers to create "social commerce" around new devices like the iPad , which combine social media and on-the-fly mobile communication. 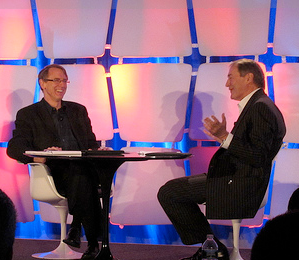 Doerr, interviewed by PBS host Charlie Rose at the start of today's TechCrunch Disrupt conference in Manhattan, said the first great wave of social innovation came with the rise of computer power in the 1980s; the second great wave came in 1995, with the rise of the Internet as an information-sharing device. The third great wave is now, he said. "We've entered a whole new applications economy, where all sorts of new applications of Web technology are being driven by new relationships" being fostered by social media. "This is turning the world around in a really excitiing way," Doerr said. For example, the iPad "is not just a new fad but a new paradigm" for the way people create relationships and for new types of business products, cultures and strategies for social good. "The iPad is not a computer; you do not need a mouse to operate it," said Doerr, a partner in the legendary Silicon Valley VC firm, Kleiner Perkins Caufield & Byers. "These are commercially new kindsof magical surfaces that are social. You can take the iPad to concerts, to church." He said the iPad and other such portable social interfaces also "lead to a new kind of social fluidity, a full immersive experience" for people "and a rich terrain for hundreds of new start-ups and social ventures that both make money and serve society." This new type of commercialism, Doerr said, will make one's friends "the most important driving factor in making purchasing decisions." Doerr also predicted that the convergence of social technology and commerce will change the workplace, speeding the rise of new "missionary" business cultures, rich with new levels of collaboration and social consciousness. "Mercenaries are motivated by financial statements, and sometimes a sense of entitlement," Doerr said, "but missionary cultures are driven by value statements about contribution -- not simply the bottom line." Doerr added: "mercenaries lust for making money but missionaries lust for making meaning." He cited Apple founder Steve Jobs, Amazon's Jeff Bezos, and Facebook's Mark Zuckerberg, among others, as being among these new missionaries. "These guys have turned down opportunities to sell their companies because they're passionate about their products and their impact on society, where the product is the most important contribution." Doerr said Zynga, the online children's games company, is the "fastest-growing social venture we've ever invested in." He estimated that about 2 percent of the 60 million daily users across the games the company produces want to "buy a better tractor for a farmer or give to a friend or raise money to send bicycle seats to Haiti" or "otherwise do important social things with this technology." This, says Doerrr, is part of the vision and promise of this fledgling new era of social commerce "and it calls forth social entrepreneurs in numbers previously not anticipated." TechCrunch Disrupt continues through Wednesday. Watch this space for updates. And that's just for starters. In the social enterprise sector so far this year, swarms temporarily sidelined the Chase Community Challenge contest, pushed Nestle into a nasty confrontation over its use of palm oil in its KitKat chocolate bars, and forced Pepsi's Refresh contest administrators into a quick apology for bending its own contest rules earlier this spring. 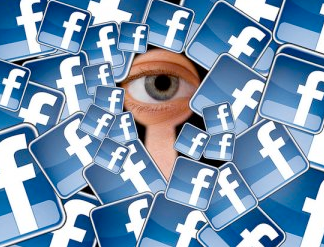 Will the recent swarms of rattled Facebook users be as successful in forcing change in the site's privacy policies? So far, so good: The Wall Street Journal is reporting that Facebook's swarms have become so riled that Chief Executive Mark Zuckerberg is thinking about scaling back his push to get users to share more about themselves in public. Brent Schulkin, the founder of Carrotmob, a Berkeley, Calif.-based Web action group that has organized 60 consumer swarms from Helsinki to San Francisco in the past few years, says the most powerful swarms are those which push for a win-win for both companies and consumers. "Today, we all know that every company does stuff we don't like," Schulkin says. "Now, if companies say, 'We don't do anything bad,' nobody believes them. The Carrotmob premise is that every business can do something better." Schulkin is forming a new nonprofit this summer to expand the reach of Carrotmobs to include national brands. Consumer swarms, he says, should "look at what companies can do to improve -- and then judge these companies by the level of their improvements, rewarding those which improve the most with their purchasing power. It's about win-win. It's kind of a reverse boycott." What do you think? What swarms are you currently tracking and which swarms have you joined? Are you boycotting Facebook? Let us hear from you. We at Cause Global have been covering the emergence of the cause video sector from its beginnings; a recent Cause Global post about Choose a Different Ending -- a new type of cause video -- recently caught the eye of blogger and consultant Sean Stannard-Stockton, who has included it today in his own list of 10 "favorite" videos for social impact. Stannard-Stockton, CEO of Tactical Philanthropy Advisors, is asking his readers to vote on their favorites from his list; he will show the winner at tonight's inVision 2010 get-together in San Francisco. Our recent favorites at Cause Global remain Choose a Different Ending, along with The Girl Effect -- a video CG Publisher Marcia Stepanek uses as one of many examples of effective cause videos in the seminars and Webinars she teaches at NYU and elsewhere on the use of social media in advocacy. Are there cause videos that you'd like to share that aren't on the list? Let us hear from you; meanwhile, watch this space for continuing coverage of the use and creation of cause video for social change. This year's four-day Summit Series conference -- 24-year-old social entrepreneur Elliott Bisnow's invitation-only, GenY-focused, $3,500-per-head networking event for under-40 social entrepreneurs that ends today in Washington -- has once again lived up to its hype as one of social enterprise's newest gatherings-to-watch. The New York Times described the first two national Summit Series events, in 2008 and 2009, as "MTV meets Davos" -- and this year's mostly Millennial gathering stayed true to form, with tracks on innovation, business, altruism, personal growth, arts and revelry (no kidding). Many of the estimated 650 CEOs, authors and start-up founders in attendance, some clad in T-shirts and Vans, used MingleSticks along with serial-texting and power-pitch networking to keep pace with who was who among them. One attendee, consultant Pat Kane, the author of The Play Ethic, blogged that his "average Summit Series day this year has been something like a 360-degree civilizational radar search to find almost every possible opportunity for American enterprise ..." On Friday, he said, "I was faced with three possible morning sessions: one called Memoirs of a Boy Soldier, where the extraordinary Ishmael Beah was telling his inspirational story to a packed house of developmentally-oriented social entrepreneurs; another session was featuring two ex-NASA guys promoting commercial space travel, and a third session right next door, called The Greenest Economy, was all about new business models for cannabis production." Unique about this #socent gathering (other than its profound shortage of mingling elders) was the urgency with which both speakers and attendees discussed the accelerating pace of Web-fueled social change and the unprecedented levels of cross-sector collaboration needed to harness it for good. Numerous attendees agreed, too, that exclusive, face-to-face meet-ups of top, NextGen executives are sorely needed, especially since most work in post-industrial work spaces that are more commonly centralized via Skype connections than common floor space. * Former President Bill Clinton said the definition of citizenship is being altered dramatically "by the level of interdependence that we have" -- like it or not. Our growing, Web-driven adjacency with people from different nations, demographic groups, religions and value systems carries both promise and unprecedented challenge, he said. "The mission of humanity and the mission of America in the 21st century is to build up the positive and reduce the negative forces of our interdependence," Clinton added. Government cannot do it alone; record budget deficits have left many agencies and states too weak to adequately help the under-served, and philanthropy isn't enough, either. "In the best of all worlds," he told conferees, "you will have a continuous interface with what is done by the government, the private sector and the NGOs. 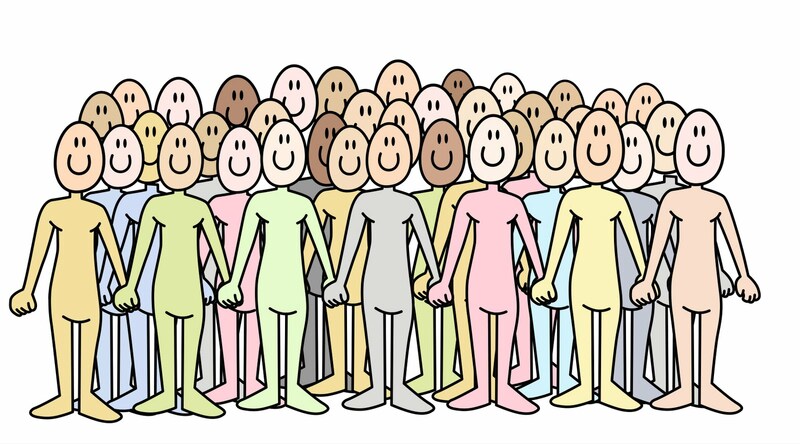 We will always need citizen action and that is where social entrepreneurs can really take hold." * Kiva cofounder Jessica Jackley, a founder of the crowd-funding start-up ProFounder, won the Summit Series' pitch competition and the $50,000 prize that went with it. She and her new venture were chosen by the audience, not by voting but by a smartphone-powered "Live Market Venture Competition" game in which attendees traded shares of competing companies' stock on a mock social enterprise market. ProFounder is a site that helps new businesses crowd-source funding from among its social networks and communities of supporters, engaging them as micro-investors who share both risk and profits. * Cameron Sinclair, founder of the nonprofit Architecture for Humanity, likened sustainability to survival and urged all NGOs to share their failures and successes so that the sector can collaborate and do far better to help those in need. His push for what he called "open-source best practices" is especially critical in global hot spots like Haiti and Nashville, he said, where "chaos" has replaced common sense and coordination. "The status-quo of cross-sector crisis management is not acceptable," he said. * Craig Newmark (craigslist) spoke about how the Internet can facilitate representative democracy; social media, he said, will determine the outcome of November's mid-term elections. Newmark later said that lately, Facebook "may be stumbling a bit" around privacy issues but urged participants not to delete their accounts but to "work with them" at Facebook to "get the privacy thing right." * Inventor Ray Kurzweil -- the man that Bill Gates considers the world's most brilliant and accurate futurist -- warned that the exponential evolution of technology is about to fundamentally change the human experience in irretrievable ways. "In the future, technological change will be so rapid and its impact so profound, that ever aspect of human life will be irreversibly transformed, so that there will be no distinction between machines and humans," he said in a dinner gathering. By 2050, he said, "we will be a hybrid of biological and non-biological intelligence. Technological change feeds on itself and gets faster and faster, and in 40 years, the pace of change will be so quick that you won't be able to follow it unless you merge with the technology that humans have created to keep up." 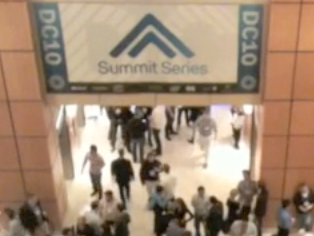 Were you at the Summit Series? If so, please share what we missed. There are a variety of ways that social advocacy groups use videos -- to break news, tout their passion and thought leadership, and explain complex issues. All focus on storytelling in traditional video formats. But there's a new type of cause video starting to gain notice as an effective way to engage new supporters. It's interactive -- your supporters and would-be supporters decide what happens next. It's a type of video that combines good storytelling with the interactivity of a video game. Here's an example, called Choose a Different Ending, developed for the UK nonprofit, droptheweapons.org, to fight street violence. It was shot by British filmmaker Simon Ellis. What do you think? Might this be an effective way for your cause to engage supporters? Let us hear from you. 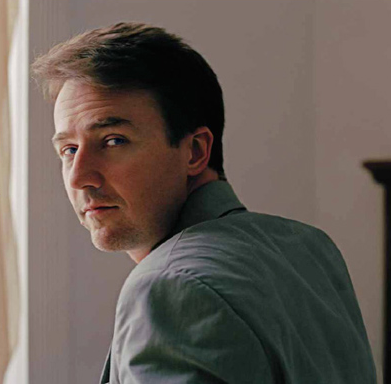 Actor Edward Norton today officially launched Crowdrise, a new social media site and for-profit social enterprise that aims to transform the supporters of good causes into their most ardent fundraisers. The site is the latest entry into what has become a crowded online field for charity fundraising. But uniquely, it offers its most active users "points" for their engagement. For every dollar raised for a cause earns users a Crowdrise point, which can be used to win prizes donated by top brands, such as laptops and iPods from Apple or windbreakers from North Face. Crowdrise [its motto is if you don't give back, no one will like you] was developed by the 40-year-old star of movies including The Illusionist and Fight Club to give people and organizations "a new way to set up fundraising pages without having to spend great sums" (or having to buy fundraising software). "People use Twitter or Facebook because it's a way to share their personal narrative," Norton said in an interview. "We wanted to give people a chance to also share what they care about in the world, a platform to say, 'These are the causes I care about; I am volunteering. Sponsor me.'" Each fundraising campaign that is created on the platform sets a fundraising goal and tracks progress in real-time. Once a campaign is created, the "host" then asks for donations using Facebook, Twitter and email to activate his or her social networks into donating any amount, of any size. 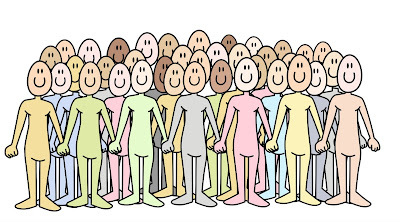 Each campaign also offers non-members and non-supporters the chance to join the cause and help to fundraise for it using their own social networks. The site originated out of Norton's Massai Marathon, an effort he kicked off last year to protect wildlife in Kenya and Tanzania, and which raised $1.2 million in less than eight weeks, mostly from small donations. "We want to convert social networking from just being social into substantive, productive communication with action," Norton told The Wall Street Journal earlier this week. "Instead of telling the world what you're eating for breakfast, you can use social networking to do something that's meaningful." It's not the first celebrity fundraising-site-for-good: actor Kevin Bacon launched sixdegrees.org some years ago to offer people a new way to leverage celebrity-power for their causes. It's also not the first fundraising site to let anyone create campaigns and leverage their social networks for donations. [Think GlobalGiving, among others.] But Norton's site uniquely offers participants incentives in the form of points and prizes. The first round of prizes will be awarded July 31. "Technology has allowed for a kind of engagement between people with a public life and the people who are interested in them, which is entirely new and potentially very powerful," Norton said. Organizations already signed up to use the site for fundraising include Oceana, City Year, the Alzheimer's Association, Paul Farmer's Partners in Health, and Malaria No More. A spokesperson for Crowdrise said Norton set up the site as a for-profit social enterprise, in part to insure its sustainability over time and to encourage other social businesses. "The things that seem monumental or monolithic are the ones that you have to take on, Norton told me in a 2007 interview for Contribute Magazine. "Sometimes, even just the act of beginning something is the integral first step because a good idea has a tendency to snowball." 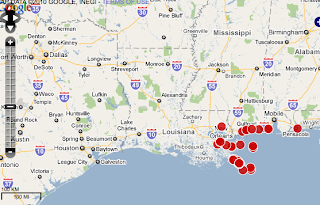 An environmental nonprofit called the Louisiana Bucket Brigade has created an online crisis-map that is crowd-sourcing reports of health problems, job loss, water quality issues and other news about the Gulf Coast oil spill as its impact spreads. The group is using social media -- including mobile video, email, and text-messaging -- to aggregate eyewitness accounts from people living in the coastal crisis zone. Organizers are then plotting these reports, in near real-time, on a Web-based map to track the spread of environmental and economic impact. In this way, the New Orleans-based nonprofit hopes to build on work done by online crisis-mapping pioneer Ushahidi, which developed crisis-mapping technology in Kenya in 2008 to track the spread of post-election violence. More recently, Ushahidi created a crisis-map in Haiti to help aid workers identify which areas needed the most urgent help in the hours and days following the January 12 earthquake. According to Anne Rolfes, the founder of the Louisiana Bucket Brigade, "this is a tool for all of us to understand the extent of the damage. We are trying to compile and map eyewitness accounts of the spill's effects in real-time." In that work, the group -- fighters for better air and water quality in New Orleans and California -- is partnering with specialists at Tulane University. Ushahidi also is providing coaching and mapping help to the group. Reports to the Louisiana Bucket Brigade can be made and viewed here, and mobile phone users living in the area re being asked to text reports to (504) 27 27 OIL. Chief benefits of crowd-sourced crisis maps? Aggregating citizen reports of a crisis can lead aid workers to better target supplies, doctors to better deploy medics and environmental workers to better plan for ways to combat the crisis over time. How else are social media being used to help spill victims living along the Gulf Coast? Let us hear from you if you have new examples to share. But in Austin last week, a nonprofit/for-profit collaboration -- between a local nonprofit, a billboard company and an advertising agency -- raised that visibility to even greater heights, literally. 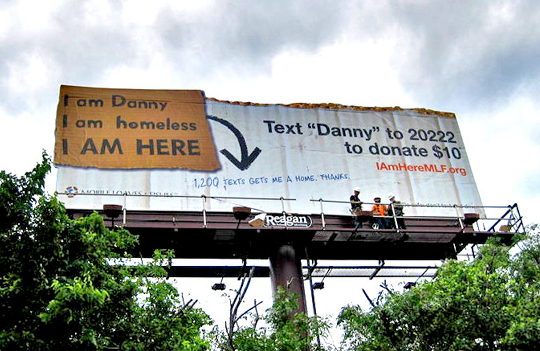 The nonprofit Mobile Loaves and Fishes, the Reagan Outdoor Advertising company, and the T3 marketing agency created what they called the "I Am Here" campaign, a combination billboard/mobile texting project to get Danny Silver, a local homeless man and former steelworker, off the streets. For three days last week, the billboard, located off I-35 in Austin, asked passing motorists to text money to MLF for Silver; Silver and his wife, Maggie, were hoisted 50 feet to the billboard's catwalk, where they camped out during the campaign. The billboard read, "I am Danny. I am homeless. I am here." By the end of the week, with support from Mobile Giving, motorists texted some $1,200 to MLF in $10 donations and MLF gave the Silvers a mobile home.